Church Street, Blayney NSW 2798 T 02 6368 2104 council@blayney.nsw.gov.au http://www.blayney.nsw.gov.au The Blayney Function Centre is a new, multi-function entertainment, conference and function centre, with construction completed in 2012. The Centre is well equipped with a range of facilities and a large, off-street parking area. 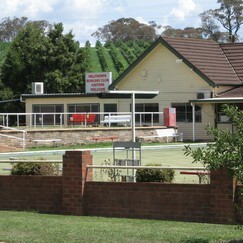 24 Elliott Street, Millthorpe NSW 2798 T 02 6366 3043 millthorpebowlingclub@hotmail.com The Club has a dedicated function area with tables and chairs and can cater for all types of functions. 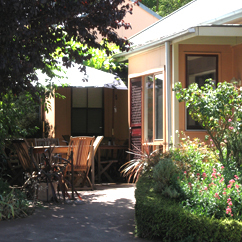 Our capacity is up to 100 guests, with catering, fully licensed and disabled access. Park Street, Millthorpe NSW 2798 T 02 6366 3104 millthorpe-p.school@det.nsw.edu.au The hall was completed in 2012 and has a large open plan facility. 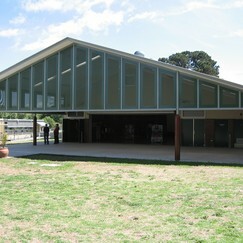 A covered outdoor area is attached to the hall and a large air-port door opens providing access. A portable stage is available if required and the hall is well heated and ventilated. Seated venue capacity is 200. 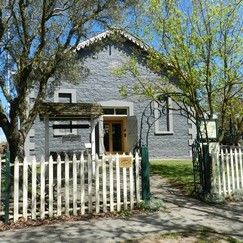 The bluestone administration building within the school grounds is often used as a wedding photo venue and informal, civil ceremonies have been conducted in the school grounds. We offer a large projector screen and data projector, on request; an integrated PA system, microphones, internet facilities. Disabled Access, with accessible toilet facilities. 84 Newbridge Road, Blayney NSW 2799 T 02 6368 2639 M 0418 633 618 atholgardens@bigpond.com http://www.atholgardens.com.au Athol Gardens is a unique function centre in a 350 acre estate in the picturesque Central Tablelands of NSW featuring an historic 1875 homestead surrounded by over two acres of manicured lawns and private gardens that retain the original character of the property. 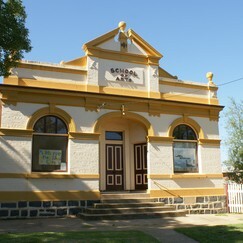 37 Park Street, Millthorpe NSW 2798 T 02 6366 3980 millthorpemuseum@gmail.com http://www.millthorpemuseum.com The Museum has it’s own theatrette and caters for a range of functions. 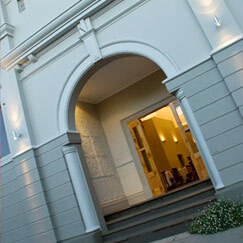 The venue's capacity is 30 in the theatrette and up to 250 guests for other functions. We have a digital projector available in the theatrette and can provide catering by arrangement. Disabled access including toilet facilities is available. Corner Pym and Victoria Streets Millthorpe NSW 2798 T 02 6366 3811 enquiries@tonicmillthorpe.com.au http://www.tonicmillthorpe.com.au Showcasing a magnificent building historic to Millthorpe. The old picture theatre “Frapes” built in the early 1900’s offers elegance and ambience for every occasion. We cater for conferences, weddings, birthdays, engagements, christenings, anniversaries, office parties, product launches, graduations and fundraisers. Capacity: up to 150, full catering, fully Licensed with an extensive wine list from the Central West and beyond, disabled access. Victoria Street, Millthorpe NSW 2798 T 02 6366 3152 Two rooms with limited kitchen facilities, tables and chairs. Ideal for all types of celebrations. 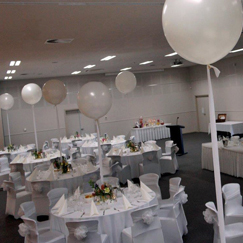 Capacity: 50 seated – 100 standing, Self catered, Licensed: BYO only, disabled access. 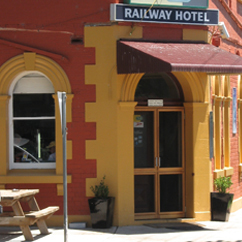 6 Belubula Street, Carcoar NSW 2791 T 02 6367 3009 M 0423 713 095 enquiries@royalhotelcarcoar.com.au http://www.royalhotelcarcoar.com.au Focusing on small functions of up to 35-40 people, we can assist with planning, coordinating or ideas for larger groups depending on your needs. We will work with you to ensure your expectations are met. 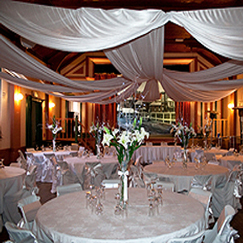 20 Elliott Street, Millthorpe NSW 2798 T 02 6366 3157 davidmutton1266@gmail.com We cater for all types of functions. Our capacity is up to 40 guests, with catering available. 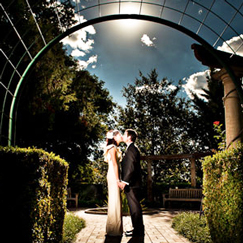 12 Pym Street, Millthorpe NSW 2798 T 02 6366 3188 http://www.theoldmillcafe.com.au Hosts Darren and Stacey will work with you to ensure that your next event is something special, with a wide choice of menus to suit any occasion. Venue Capacity is 50 seated, 30 outside or a cocktail function for up to 100 guests. Catering is available and we are fully licensed with disabled access.